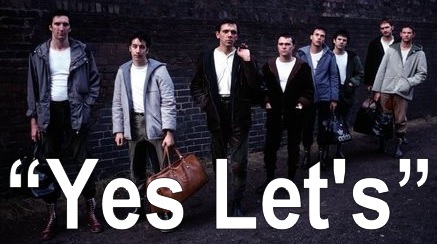 The most universally known Dexys track is actually a reworking of the 1981 song "Yes Let's" performed as part of The Projected Passion Revue shows. 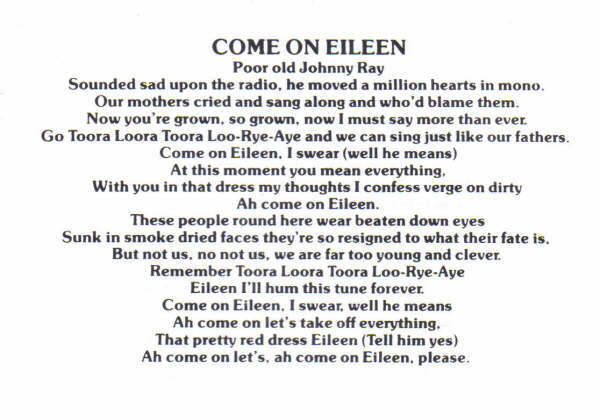 The original brassy foot-stomper opened with the lyrics "Poor Johnny Ray, sounded so sad upon the radio" set to a very different melody than the one later used in "Come On Eileen" and also contained such familiar lines as "These people round here, wear beaten down eyes sunk in smoke-dried faces, so resigned to what their fate is". 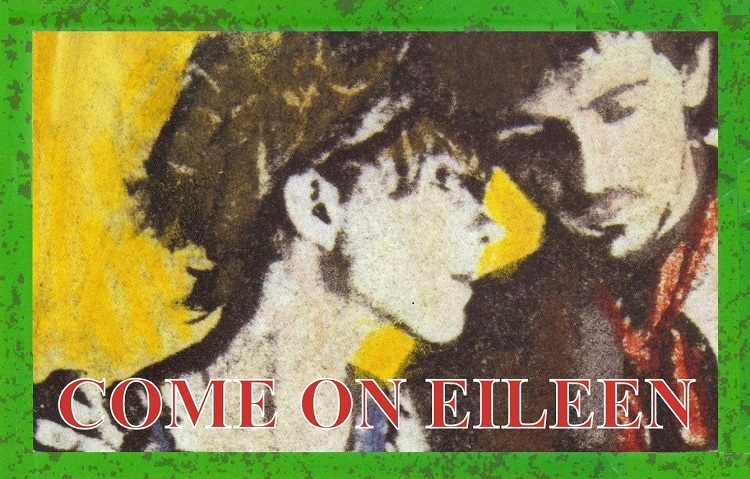 There were several mentions of "Eileen" throughout the song and it is interesting to observe that early artwork for Dexys' second album included the titles "Yes Let's" and "Oh Eileen" as part of the track-listing. Curiously, the quote used on the final "Too-Rye-Ay" sleeve, "And though spiritual seduction might seem more my aim, right now I just want to take off all your clothes and do something dirty to you..." also stemmed from the song's original lyrics. Musically "Yes Let's" was a very simple composition compared to the song eventually released as "Come On Eileen" and it is very doubtful that it, or "Too-Rye-Ay" would have been nearly as successful had it been released in its original form. The only known recording of this song was captured during one of the band's legendary shows at The Old Vic Theatre in November 1981. It was a very different looking - and sounding - Dexys Midnight Runners which re-emerged the following spring. Gone were the hooded tops and boxing boots and in their place appeared Denim dungarees and sandals. In keeping with the new "Gypsy image", the band's emblematic brass was now accompanied by the fiddles of "The Emerald Express" featuring Helen O'Hara, recruited from Kevin Archer's band The Blue Ox Babes who had been working on a 'very similar' folk-flavoured sound. 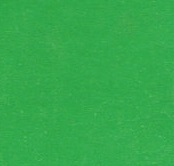 The first single of 1982, "The Celtic Soul Brothers" gave fans the earliest indication of the new Dexys direction. Released in March of that year while Dexys were still working on their new album, it met with a mixed response and only scraped into the lower reaches of the U.K. charts. The song ear-marked as a follow-up single was still going through many changes, as Producer Clive Langer later explained: "We recorded it as James, Van and Me - James Brown, Van Morrison, and Kevin. That was the original chorus, singing about people who influenced him to write the song - like he mentions Johnny Ray. And then he came in one day and said I want to change the lyric completely, it's a working lyric. And we actually liked James, Van and Me! Because we'd been working with it and got used to it." The inspiration for the lyrical change has been the subject of much debate and ever-altering explanations over the course of time. In later years, Kevin would explain variously that 'Eileen' had been a particularly attractive Swedish journalist who'd interviewed the band, prompting lustful desires within him - or - that he was inspired to use the name Eileen in the song having misheard the lyrics to Squeeze's "Labelled With Love" [a song he later covered] as "...drinks to remember Eileen and myself". However, in interviews given shortly after the single's release, Kevin Rowland claimed that 'Eileen McCluskey' had been a child-hood friend and the song was about the moment in time when their sexual awareness had awoken and the friendship became less innocent. This version of events certainly helped to capture the imagination of listeners at the time and undoubtedly under-pinned the song's popularity. 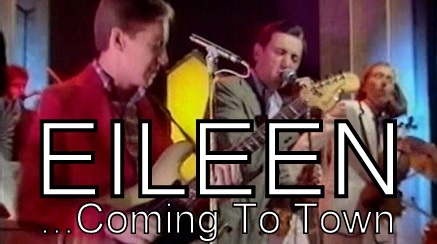 Three years after the phenomonal worldwide success of "Come On Eileen" the song evolved yet further as part of the 1985 "Coming To Town" shows. The intro (kicked off by some amazingly funky drumming) revisited the familiar opening, whilst discovering new melodies within the song as if they had always been hidden just beneath the surface of the original. The sing-along "Come on, Eileen, Ta-loo-rye-ay" segment of the song was replaced by some beautiful interchanges between violin, pedal steel guitar and piano which some of the audience chose to ignore by supplying their own sing-along version. Despite this, it was one of the highlights of the "Coming To Town" tour and it is a great shame that no studio recording was made of the updated version. However, live recordings do remain including the one below recorded at Bristol's Colston Hall. It would be another 18 years before Dexys Midnight Runners toured again but, when they did, "Come On Eileen" was once again a central part of their live shows. The band's return to the stage - in Gateshead on 4th October 2003 - was recorded for BBC radio and featured an extraordinary "unplugged style" version of the Dexys classic, reinventing it for a new audience once again. Featuring the sensitive piano playing of Mick Talbot alongside Neil Hubbard's excellent guitar-work, the song took on an altogether more intimate feel than any of the previous versions. Although Dexys may finally have managed to "re-claim" the song, Kevin Rowland has often commented that "Come On Eileen" is a song which 'grew bigger than the group.' 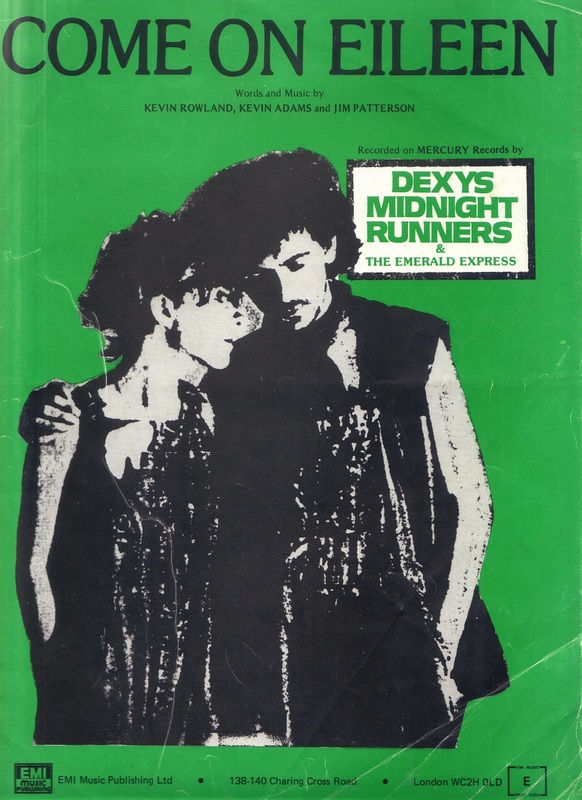 As the only song which many casual listeners may know from Dexys Midnight Runners' extensive repertoire, it is perhaps not particularly representative of their body of work. Many fans would probably choose Rowland's magnum opus, "This Is What She's Like" as the song which best defines Dexys, but for most people (especially in America) Dexys ARE - and always will be - the band who sang "Come On Eileen". Soul fan, Kevin Rowland was surely aware of this Northern Soul classic when composing the chorus of 'Come On Eileen'. 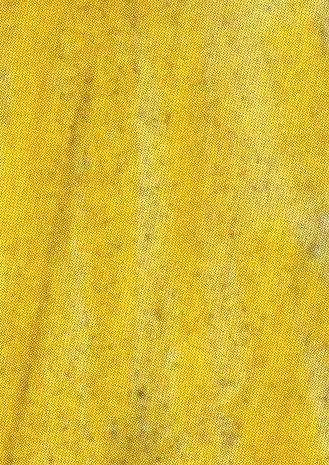 In 1997 Kevin Rowland explained that "the breakdown and build-up section of the song was heavily influenced by a section of one of Kevin Archer's songs." 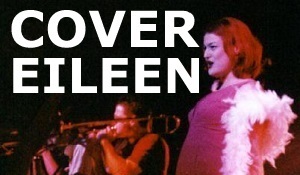 A list of known cover versions of "Come On Eileen". This appeared on a various artists charity CD, 1 Love, put together by NME. The arrangement is great but I'm not sure that Badly Drawn Boy's vocals suit. Featured on the Black Lace album, Action Party - 25 All * Time Favourites alngside other classic songs such as Wig Wam Bam, Hi Ho Silver Lining and, of course, Agadoo. I'd like to say it's total shite but it isn't. This full on, good time, party version lacks any feeling or soul but is better than many others on this page. Irish folk band who manage to cover COE one of the most enthusuastic pop songs ever without any enthusiasm at all. I mean, why bother eh? Some word changes here but I haven't got the full version yet so I'm not sure to what extent. Solo project from Bob Nanna of Hey Mercedes. Another in concert version. Nicely understated folky duo version with solo fiddle and strummed acoustic guitar. Not sure if this is a joke but some say not. 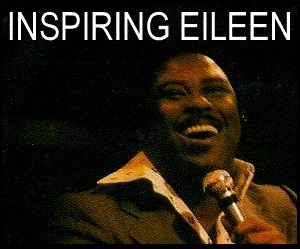 The snippet I've heard is the usual aggressive rap over Come On Eileen's instrumental track. I do seriously doubt that a full version of this exists and suspect it's merely somebody's idea of a joke that has passed into internet legend. Don't know much about this band, American I think. The version is live in concert and the audience are obviously enjoying themselves. The vocal is a bit ropey with the singer missing some of the words by slurring lines. Dexys version and an altogether good arrangement played enthusiastically. Also a bit faster than Dexys version. 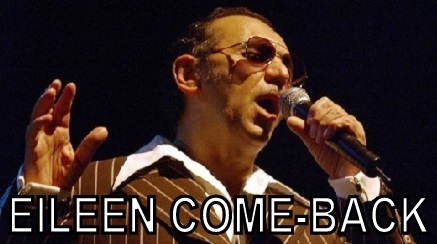 Dexys ex-keyboard player who was in the band briefly in 1979/80 has covered Come On Eileen with his band. A recording of the track can be found at Andy's website. I've seen No Doubt/Mighty Mighty Bosstones/Reel Big Fish all credited with this version on the internet. This is a punky ska version and not bad if you like that sort of thing. Done with enthusiasm. Save Ferris have also done a second version which is an acoustic and voice type thing which was a b-side of one of their singles. Previously very heavy metal band who found a new direction and their Celtic roots. A fiddle heavy version to an acoustic rhythm. A definite Dexys fan in this band, it starts with someone turning the dial on a radio al la Burn It Down. Another acapella version but better than the others. Female lead vocal which gives the song a new twist. A poor acapella version. Apparently there is an American tradition of vocal groups forming in university and some even put out albums.